Homework in P6 should not take any longer that one hour. Pupils should not work beyond an hour, and leave a note underneath to explain that an hour has been completed. Homeworks will generally include reading, writing, spelling, maths and mental maths. Monday normally has a mathmatic focus. Tuesdays generally have a literacy focus. Wednesday is based on our WAU topic. Homeworks are designed to reinforce the learning in the classroom and will be explained to the pupils during lesson time. If a pupil cannot complete a homework for any reason, this is not a problem. 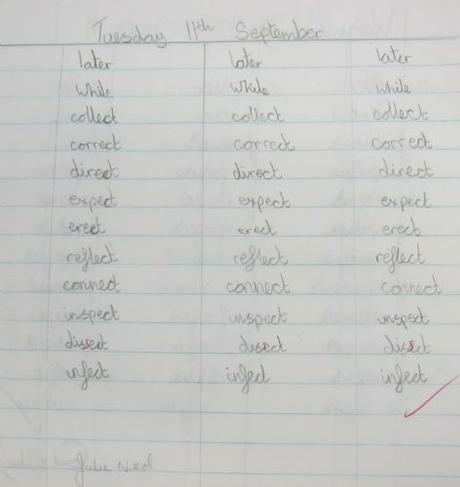 Parents should leave a note in their child`s homework diary to explain the difficulty. If there are any difficulties with homework, pupils are encouraged to approach their teacher for some further help. Homeworks need to be signed underneath by a parent or guardian. Homework diaries and reading record books also need to be signed. It is the pupils responsibility to make sure this happens after they have finished their homework each night. If there are any further questions, feel free to write a note or drop in. After school is a better time to catch me so you have my full attention.